The political landscape has changed rapidly since the UK voted Brexit and Donald Trump landed his shock election win. Now it’s time for the French to decide their new president, Jean-Luc Melenchon is not resting on his laurels. 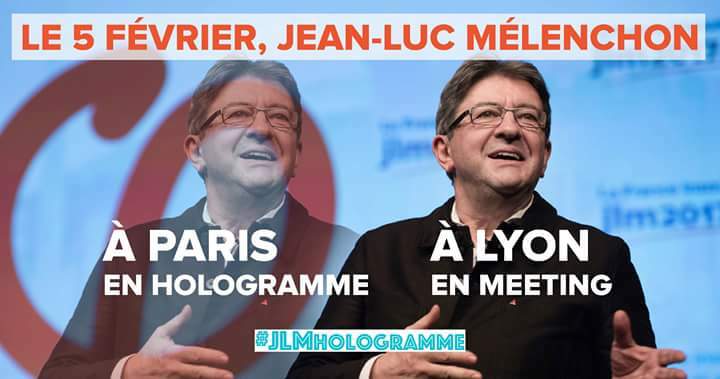 The challenge of travelling cross-country to rallies is exhausting and time-consuming, but the 65-year-old hard-left hopeful appears to have solved the political rally problem – by appearing in multiple locations at once via hologram. As Melenchon held a rally in Lyon on Sunday, a hologram of him was projected by satellite to crowds in Paris. Critics called it a headline-grabbing gimmick that obscures his firebrand politics, but is Mr Melenchon on to something?